This post was prompted by an email from Brian Davey on behalf of the Energy Descent Action Plan (EDAP) Group in Transition Nottingham. The subject under discussion is EDAPs (or Community Resilience Plans… or whatever you want to call them), and how one does them for cities, or even if one does them for cities. Their questions give me an opportunity to reflect on the Totnes EDAP process, and to explore some emergent aspects of Transition, especially in the urban context. The Nottingham group have given me permission to reprint their initial email in full, so I will start with that, and then move on to my reflections on the points they raise. This post is as much an invitation for your comments and thoughts as anything else…. We’ve been floundering in Nottingham with the Energy Descent Action Plan and it was agreed that I write to you to see if you’ve got ideas that would help..
Part of the problem appears to revolves around what we mean by a “plan” – a plan is a way of attempting to shape the future – yet there is also an explicit ethos in the Transition Movement of “letting things go where they will”. “Letting things go where they will” implies accepting that things will unfold in unexpected ways and being flexible to that, taking up unforseen opportunities as they arise and being prepared to abandon unrealistic aspirations along the route. Instead of shaping the future this is about being prepared to be shaped by the future. The reason this is important in a city is that a city is a large and very complex beast so the number of unexpected connections and developments is much greater than in a village or small town. It follows that the capacity of Nottingham to generate unexpected developments is hugely greater than in Totnes with 1% of our population. For many years Nottingham had a bike industry and pharmaceuticals – both arose unexpectedly in Nottingham – there was nothing special about Nottingham that led to them being here. Further – it is not clear to us what the Transition Movement means by planning. For those of us who come to this with a mind-set shaped by business planning for project development the EDAPs that we have seen do not appear to be much like planning. A plan has specific, measurable, achievable targets. “….In Wollaton the community garden hub will take over and regenerate the walled garden in the park as well as developing a farm animal training centre on the field opposite the lake which will be used as training for broadscale agriculture in conjunction with Jim Rose of Tinker Bells Farm in Hucknall. 3 people will be employed. 30 people will be trained a year in ploughing with animal skills. Pasture/fodder for the horses will be provided on fields at..
Well, I made all that up. It was complete off the top of my head fantasy. But in a real plan it would not be. It would be based on discussions and agreements and research that your group had done, as in a business plan. Yes, we do realise that that is much more of a tall order. It is much more ambitious. It would be hard work….but it would be real PLANNING. The point I am making is that a plan mentions specific places, specific numbers and specific budgets – and that provides the basis for specific actions. Unless you get down to that level of details and start working through tasks to achieve that you will end up, after a few years, with reams of paper of all the things that you said that you were going to do and almost none of them will have even been started on. By focusing more specifically in this way you have to GET REAL and actually start project developing specific very small scale projects – instead of writing “visions” that a few years later are still no more than that and produce disillusionment about the group that has created them as being no more than a talking shop. EDAPs have been around for a few years now – so if we go back and look at how much of the things that were said would happen for years that are now in the past, how much of them have actually happened. If the answer is “not very much” then what conclusions does one draw from this for the process of writing EDAPs! This is a fascinating area for discussion, and what I am offering here are only thoughts and suggestions, in the hope that it stimulates conversation and debate. So, let’s start from the beginning. What is an EDAP and why would anyone do one? ‘Create an Energy Descent Action Plan’ is the 12th of Transition’s 12 Steps, intended as the culmination of the preceding eleven. The idea is that it is one of the key things that distinguishes Transition from other approaches, that rather than being a disparate assembly of projects, Transition pulls together a range of initiatives and puts them in the wider strategic context of intentionally planning for the relocalisation of the settlement as a whole. An EDAP is, in essence, a Plan B for the community, a mapping out of how the community might get from here to there. 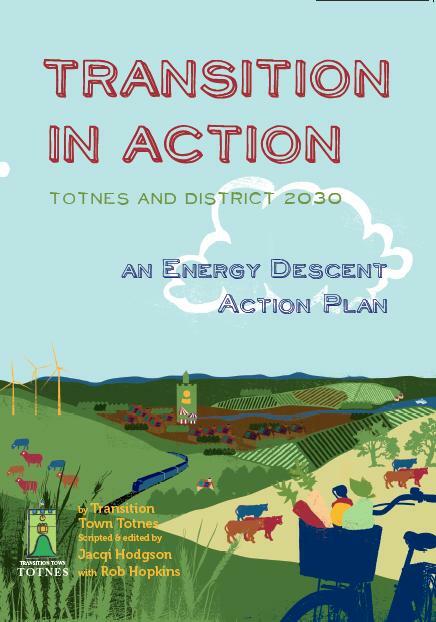 The reality is though, that although the first thorough EDAP (for Totnes) has just been published, still none of us know, in practical terms, what planning for the intentional powering down and relocalisation of a city will look like in practice. good web facilities to enable discussion of ideas, collaborative editing of drafts, promotion of events. 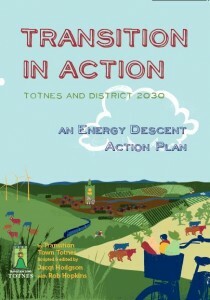 Creating the Totnes EDAP, an Energy Descent Plan covering a settlement of 8,500 people and its surrounding catchment of around 23,000 people was a big undertaking. It required around 2o months of time, a full time paid co-ordinator, additional funding for design and printing, and the voluntary efforts of many people. I think that what we have produced is an unprecedented piece of work, something with much that can be replicated in other settlements of a similar size (we learnt a lot doing that will be of use to other communities). A good example of a mini-EDAP, or what was termed a ‘pre-DAP’, can be seen in Transition Forest Row’s ‘Forest Row in Transition’ document, done in a short period of time as a vision document. I am less confident, however, that the EDAP model, as currently imagined, transfers across intact as an approach, to, say, Bristol or Leeds, and here are some thoughts as to why. 1. Can Community-led plans ever be comprehensive? Can communities be expected to cover all the bases that such a plan would require? One of the things I have done in the PhD I am doing (nearing completion) is to take the Resilience Indicators developed in the Totnes EDAP and drop them into a table generated by Liz Cox at New Economics Foundation of indicators for a sustainable economy. What emerges is that Resilience Indicators generated by a community (well, Totnes at least) tend to fall within the columns that relate to economics, local resilient infrastructure and so on, and not in governance, social enterprise and interdependence (seeing the wider picture) – these things fall, at least in the case of Totnes, outside of a community’s interests/expertise, yet they are essential to an effective and comprehensive response. They are areas that are usually the domain of Council planners, enterprise agencies, businesses and so on. The Totnes EDAP is the community’s plan, reflective of the passions and interests of those that get involved in the process, but how it now intertwines with Council policy remains to be seen, that will be the focus of TTT’s work over the next few months. Might it be that for cities, effective and comprehensive plans of this nature will require the Transition initiative to work together with its local Council, and with other organisations with some of the other expertise lacking within the Transition group? 2. Do cities and towns develop differently? A few months ago I sat at Birmingham New Street Station with Andy Goldring of the Permaculture Association, discussing this whole question of what EDAP might look in the urban context. A town like Totnes, every few years, goes through a planning process, where it looks forward over the next 10 years, and plans how it might develop, where to put new homes, services and so on. Cities, on the other hand, are continually re-inventing themselves, pulling bits of themselves down and rebuilding them, constantly changing and shifting; as Brian puts it in his email “cities are large and complex beasts”. On a recent visit to Bristol, I sat by the Arnolfini looking across the docks, realising that since I was 16 and used to sit there, virtually all that I could see has been rebuilt. Andy’s point was that cities are in a process of continual redevelopment, and rarely get the opportunity to sit and plan in the way towns do. In this context, might the role of urban Transition groups be to try, as skillfully as possible, to try and input to, and influence, the process that is already in place, inputting information, vision and the community engagement Transition does so well? 3. Are we talking about a Plan or a Vision? As Brian points out, there is a tension between producing a Plan, and producing a Vision. He warns of visions as things which “a few years later are still no more than that and produce disillusionment about the group that has created them as being no more than a talking shop”. In creating the Totnes EDAP, we deliberated long and hard about this. We didn’t want to create something that was purely a vision, something that was a long prose piece about carparks turned into allotments and how quiet everything was and everyone has a spring in their step, nor did we feel able to create something that was a hard and fast plan of the kind Brian outlines above. What we created in the end was neither, and yet both at the same time. Although it is called a Plan, I think of the Totnes EDAP as being more like a story. It starts with a vision, and then backcasts from that. It sets out, sequentially, the things that individuals can do, the community can do, and the local council can do. It is clear though, that as a Transition initiative, we can’t make all these things happen. What we can do is to create a vision that is sufficiently inspiring, enticing, yet also achievable, that it begins to inform the culture of the town as a way forward. It tells a new story of the future of Totnes in a way that is far more appealing than the future being told by the Council and other organisations. As a follow-up to the publication of the Plan, TTT’s next step is not to undertake to implement the EDAP in its entirety. We don’t have the resources, and our role is project support, catalysing others to develop projects, businesses, community responses. Rather, we hope to create a post focusing on social enterprise, supporting people to make new businesses and livelihoods from the plan, and enabling them to get to the stage of being investment ready. In parallel to this, there will be a process of trying to work with the local council to embed it in their work, and also spreading it out among the community. The Totnes EDAP is a lot more than just a vision, but the vision side of it is also critical. 1. A Transition initiative-led planning process, like the Totnes EDAP, but which, in the city context, focuses on the neighbourhood scale. It takes the role of gathering visions from across the community and then backcasting how to achieve it. It identifies new areas for food production (like the excellent Sow and Grow report recently published in Glasgow), proposes a range of initiatives and projects that could revitalise and build resilience in the community, with a particular focus on a vision for the area and for practical initiatives which, with some support, the Transition initiative could enable. This ‘A Transition Vision for [insert name of place]’ could be something that feeds into the wider planning process, as well as galvanising a range of projects. 2. A Council-led process with Transition intervention. Here, the Transition intiative would work at doing what Transition does best, catalysing at the neighbourhood level, while also engaging the local authority, perhaps first pressing for a peak oil resolution (like Nottingham City Council did) and then for a follow up exploring what this means for the city. The best example of this is the Bristol Peak Oil report, commissioned by Bristol City Council and written by some members of Transition City Bristol. This is now an official document, and can start to inform wider planning decisions. In this version, the Transition group pressures to get peak oil and resilience recognised as Council objectives, and then feeds into planning processes, in the same way that Transition Stroud have been inputting into their local council’s food policy. This is a process that, in more enlightened Councils, could begin with the kind of visioning exercise that Transition Taunton Deane did with their local authority. The danger, of course, with this approach, is that with an unresponsive local authority, this could be an enormous drain of energy and source of frustration. This could either be part of, or run alongside, more conventional planning documents. Transition would bring the community engagement part (it could perhaps provide that as a paid service to the local authority) and a wealth of other insights, academics could bring a research side to it and Councils could bring the policy side of things, as well as engineering, highways and a range of other input. The skillful part here is going to be around how these three, culturally very different, bodies talk to each other and collaborate on such a scale. Facilitation would be key. This would, with such diverse engagement, be more able to be a ‘plan’ in the way that Brian refers to. I may well, of course, be entirely wrong, and several city groups could be on the verge of publishing amazing EDAPs (I’d love to hear from you…). In terms of ‘Let It Go Where It Wants to go” though, perhaps the absence of completed EDAPs out there, in cities as well as elsewhere, perhaps indicates the time is right for reflection on this. I think the principle of creating a story/vision/plan is still central, and I think the Totnes EDAP offers lots of useful indicators for how this might be, but I hope this discussion will generate some focused thinking on next steps. The three suggestions above are really just starters for discussion. There may be hybrids between them, or entire other approaches we haven’t yet thought of. I asked Ben Brangwyn at Transition Network for his thoughts, and he allowed himself a flight of fancy, unconstrained by budgetary restraints (! ), speculating as to what an EDAP for London might look like in an idealised scenario…. a permaculture design team to apply these principles to the all aspects of the baseline document and finally, a bunch of rappers, celloists, fine and graffiti artists to create a non-static art installation that tugs on the heartstrings and inspires engagement among the young and old alike. This will certainly be a question I will be bringing to the Open Space discussions at this year’s Transition Network conference (coming soon… get your booking in! ), and want to then explore further with people who know more about this. Anyway, some opening thoughts.. anyone want to comment? Interesting points from Nottingham that may help us distinguish between vision and plan. Their action-oriented statements read more like what I, going from my involvement in project management, would call ‘objectives’… that is, they have a timeline and identify specific outcomes. That type of statement is surely what would be more meaningful to local government staff who may have to implement part of the project. First thought, they may need a policy that validates them taking action and it is this that may be a better focus than producing EDAPs. In Sydney, we have around 40 councils for a city of 3.5 million and, clearly, producing an EDAP for each is not an option. It is likely that some other approach may be needed here and it is this that has led to questioning of the value of EDAPs for metropolitan cities with multiple local governments. Not only are cities in constant redevelopment: they are not communities and can’t function through the Transition ethos of iterative deliberation and consensus. Cities have to function by executive power. So the only way a large city can power down is if a strong mayor imposes politically unpopular change on unwilling citizens. It ain’t pretty, but that’s how it is. Alternatively, the individual communities within a city could make an EDAP, treating themselves as an autonomous unit like Totnes. But since those areas are really under the aegis of a city, that has limitations. In the UK, no one body controls a city. In the area where I live, we have several major employers and property owners (Universities, Hospitals and Military), plus County Council, City Council (and District Councils, Parish Councils and area committees), numerous NGOs and citizens initiatives, and some businesses. Chuck in a few ‘partnerships’, ethnically and socially diverse populations, lots of transients, and major utilities more subject to national than local regulation. We are wondering about a cross-sectoral, ‘long-sighted’ leadership forum, which doesn’t seem to have happened here or elsewhere outside wartime (I wait eagerly to be corrected), leavened by an informed and active ‘community’ sector. It’s a pain when you discover that the ‘leadership’ can’t deliver what it can see needs doing, and doesn’t know how to admit it. How do we reduce the adversarial, competitive environment enough to allow that step? J Hill, I think you have some good points here, though I don’t think an autocratic mayor would get far in Australia where we regard our politicians as… let’s say our regard for them is rather low. Actually, the City of Sydney council has a good mayor, Clover Moore, who is supportive of food initiatives and community gardens who has spoken at Sydney Food Fairness Alliance (a food education and advocacy organisation) events. I think we need some kind of metropolitan-wide urban coordinating body that includes council representation as well as other interests, including those of the communities that make up this sprawling city. The state government does this at present but leaves a lot to be desired and tends to get up peoples noses. What I have in mind is an independent body. Transitioners might be able to influence such a body. The difficulty with people in different local government areas doing their own EDAPs is that of coordinating the EDAPs across the different areas. This is what the different transition groups are doing at present, working locally in relative isolation, the new transition team at Bondi being just the latest. TransitionSydney, a transition hub, seeks to play more of a linking role between the teams. While different councils could implement parts of these EDAPs, a regional approach would be more effective. In Sydney city east, the coastal strip south of the Harbour, the three councils responsible for the region have made a modest start in cooperation with their ecofootprint reduction program. This encourages a bioregional approach suited to this region. I think transition teams in the suburbs would sooner or later have to adopt a similar regional approach if they really want to have any impact. One difficulty is that many transition teams stem from permaculture groups and, while permaculture is on something of a roll here at the moment, it is essentially locally-focused and operates only at the community level, having little record when it comes to interactive successfully with local or state government. It’s a question of lack of advocacy and organisational capacity. Fundamentally, the Transition movement needs an answer to the question: what is the minimum level of popular and governmental support we can live with? Do we want to try to influence policy, which will require enforcing policy (i.e., compelling unwilling people to join us), or do we want to let things take their course (in which case some people will join willingly, others by default when the oil runs out, and others not at all)? Each way has advantages and disadvantages. So: try to get into a position where you can force compliance, or let people choose for themselves, in which case many will choose a socially destructive path? What I’d like to know is, after publication of the EDAP, what is a Transition movement supposed to do if, 3-5 years hence, little or no movement has taken place towards making the EDAP a reality? If the EDAP is a Plan B, what’s the Plan B for the Plan B? Do you do, as Lester Brown has with HIS Plan B (aimed at the world) and revise the EDAP with ever more severe measures to mitigate the unfolding collapse? Obviously, the window of opportunity for a controlled energy descent can’t stay open forever. Eventually you’re left with nothing but David Holmgren’s “civilization triage” scenario. I think there has been a general lack of emphasis on handling failure in the Transition movement. Failure to find fellow initiators. Failure to reach a great unleashing. And potential failures as above. Transition is nothing if not a conglomeration of individuals, and community cohesion on the part of Transition faithful can only be maintained if there is enough positive feedback to indicate that it is working. Otherwise guess what happens? People revert to “ever man for himself” survivalist kind of thinking. I’m a project manager and was surprised to find the completed Totnes EDAP more of a policy document than a specific plan. Since Transition seeks broad popular and governmental support, perhaps its function is to stimulate action projects by others –community groups, councils –not to do them itself. Still I think a re-skilling center in each of the jurisdictions, evolving best practices with resilient alternative infrastructures, would be a way to ground Transition and get the expertise up and running in a small way so as to be ready for broader action once local cultures find they need to adopt new ways. Is it possible that a large-scale controlled descent is not feasible? As far as industry executives, bureaucrats, consumers, and politicians go, we’re selling a product no one wants. We’re asking people to change how they live their lives, to reduce consumption of all kinds, to become less lazy, and to be content with less. In the US, at any rate, if you start talking that way people either laugh at you or give you pitying looks. You need large-scale adminstration to make something like this work at a societal level, and I’m not sure anyone is going to want to get behind it. Sat down at my keyboard this sunny, cool morning in Sydney to find good ideas coming from this conversation… and I note Susan Butler’s comment on the Totnes EDAP of it being more or a policy rather than a planning document. That gets back to an earlier comment of mine that, perhaps, it is to policy that transitioners could look rather than planning documents. Part of my work includes writing policy and policy directions for local government to enable community food gardening. A policy direction document does not word a policy; it provides background, ideas, rationale and recommendations on content for writing policy within council. Is this something transitioners could do? Taking up from Ed Strakers point, it has been discussed among some of us here in Sydney that production and publishing of an EDAP is not the endpoint of a transition project but is actually a milestone point that signifies a transition to the post-EDAP production phase. 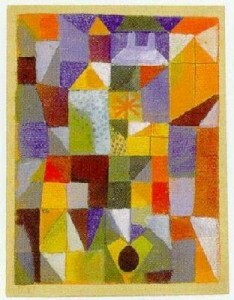 The phase that follows differs in focus and skillset. It is getting the EDAP accepted by local government, having them introduce policy to enable action on it by allocating staff and resources and taking action, preferably in partnership with local transition teams. This implies indulging in advocacy. A supportive council staff or councillors, of course, would streamline this process, but that is likely to be more the exception than the commonality, though a councillor at one council I have worked with came into the sustainability section and asked if council could do something about this transition stuff. He was informed that, while council can assist those working on transition, transition is actually a community initiative. The necessary skills in advocacy to have an EDAP adopted do exist in the community but they are comparatively rare. How to access them would be a question faced by transition teams pushing their EDAP, whether that be plan or policy directions. To EDAP or not to EDAP; That is the question. Or at least, the one we face in our suburb of Denver in Colorado. We’re roughly as big as Nottingham and definitely can relate to Mr. Davey’s concerns about putting together an EDAP with such a relatively small percentage of the population even bought in to concepts like peak oil, or familiar with Transition. Plus, as J Hill points out, it’s still NOT a generally well received message by corporations or government agencies, or the general public. Getting the word out compels us to “get big”, have a budget and a staff so we can “advertise”. But this runs contrary to the more organic principles of community building that have gotten us this far and assembled a small group of truly remarkable people. It’s a tough choice, and one we’re debating. My personal oscillation between “we’re doomed” and “wow, once in a species-lifetime opportunity” seems to be slowing. The size of the task is still as dauntingly big, but there is more specific shape to this mass. Interventions, TT and otherwise, break out at lots of levels in lots of places. The global process of ‘wiseing-up’ is far bigger than each of us. Whether we ‘fail’ or ‘succeed’, we can only act for the best, or live and die with disappointment in ourselves. Some people really hate hearing that – is that a reason not to say it? PS really liked the piece by Brian of Nottingham. Here in TTKingston (suburb of London) we’re only just starting to think about an EDAP, but this discussion is particularly interesting for me as I am currently in discussion with the London School of Economics about undertaking some research on the different levels of complexity inherent in urban vs. rural work of this kind… It seems that the question of how best to take forward planning/visioning could well be a useful key focus. Does anyone have a timeline in mind for any of this? EDAP, no EDAP, municipal involvement, outreach/advertising/propaganda, or anything? Has any Transition group set itself any hard deadlines? if so has it managed to meet them? What’s the ratio of talk to concrete progress, wherever people happen to be? I have the perception that there are structural and limiting factors which are decisive for the EDAP viability, in direct proportion to the size and complexity of each city. The greater the concentration of people, usually the highest degree of complexity, and therefore more difficult it is to implement an energy reduction plan into reality. Hard to assume, buy I see it as a extreme logic thing. From rural areas which have been able to maintain some resilient aspects of its past, to the megacities and energy/technology ultradependant urban agglomerations, I think there are several logical scales that show quite cleary where it may be feasible to develop a transition, and where not. I was catapulted into the Local Action Group of Forest of Dean DC by the first coordinator of Transition in the Forest when a joint bid, put in by Transition and the Local Strategic Partnership, secured RDPE funding. Totally ignorant of local government, Parish Plans, any sort of public-spirited effort, but very convinced by the Transition message of local resilience. The Forest of Dean isn’t a city, but its the same kind of abstract idea. I have found that quite a few people working in or with the Council appreciate what Transition does. I have been supported by them to press for a survey of the resources and vulnerability of the Forest in the light of climate change and peak oil. Transition Training and Consultancy is now involved and we are hopeful that funding will come via South West Region. This is the sort of work you need to do to make an EDAP but it is going to be steered and done by the Council, various bodies, public and voluntary, in the area, not just Transition on its own. My hope is that the Transition message is from now on heard and understood at the Local Strategic Partnership level, that Transition people will come and work on the Task Groups that report to the LSP, and that the political process which already exists will be influenced by this participation. I don’t like the idea of enforcing a Transition message but it does seem possible that it might achieve results through the existing system. Is this Transition just “letting it go where it wants to go”? “Pushing at an open door”? I get the impression that Transitioners draw back from political involvement. Maybe that is why there is heart-searching about making things “really happen”. I hope I’ll be able to come to Shaun and Jacqui’s workshop and that someone will be able to answer my question! @marcin: But you still have to decide whether you’re going to try to promote a broader Transition (i.e., convince people to abandon their dream for yours) or leave them to their fate and carry on by yourself. So which do you do? If the former, how do you convince them? If the latter, are you OK letting the rest of society slide into impoverished chaos? @all: sorry to harp on this point, but it seems like an important question. Some really interesting comments and observations about Transition in Cities – lots of learning to be done. Unfortunately I won’t be able to make it to the Conference but look forward to reading more comments and debate! I suggest that the Glasgow City Council and regeneration consultant are opportunities for the Transition movement in your part of the world. They suggest that the Transition idea is starting to capture the public imagination. Your question about being effective in these milieus is therefore a pertinent one for conversation within the Transition movement. To be effective in these circumstances means to be taken seriously. And being taken seriously requires being perceived as credible. That has to do with your vision and how Transitioners engage with people such as those you mention, however that is partly dependent upon how you frame the things you propose. Judging from my experience in the permaculture movement, it’s here that community organisations fall short, lacking expertise and know-how. That can be remedied, but that won’t happen in powerup-for-powerdown training. It requires training led by people who have background in interacting with local government, planners and business. Examples from this side of the world: Transition DASH – Darlinghurst and Surry Hills – is an example of people with the needed nouse and with a record of interaction with the City of Sydney. Likewise, people in the different states who are closely associated with the Australian City Farms & Community Gardens Network (http://communitygarden.org.au) – it includes people also active in the Transition movement – have a record of constructive and mutually beneficial interaction with various local governments. The Sydney Food Fairness Alliance (www.sydneyfoodfairness.org.au) has developed positive relationships with state politicians as well as with local government and other social organisations. This has happened because of the presence of people drawn from a broad cross section of society, some with the required skills for interacting with the political and planning milieu. Thus, advice and training in advocacy, negotiation and in understanding how ideas move from the creative fringe into the social mainstream are needed. To my mind the transition to a post carbon world can be planned. However the whole of the region and its towns, villages, and communities need to make the transition to a post carbon world. All of the organisations that service the community will have to make the transition whether it is an organised transition or disorganised transition. It makes sense to me that the transition plan includes the transition for governance, hospital services, security services, education services, transport, business, trade, social services, land use, food, etc etc. Each section of the plan would need to be drawn up by the leaders in each field. However I do not think this is happening. I do not know of one community as a whole community, that is making the transition to the post carbon world. I only observe small groups planning and making preparation in isolation from the community as a whole. In my experience government and political groups often think that the Transition movement is worthy, good and beautiful and like the Sally Army worthy of support but has nothing to do with the real business of development and consumption. Nothing is going to happen until the crisis is upon us. Only then will there be a small window of opportunity for an organised transition. In the meantime I think it is best to prepare, organise and build resilence within your own sphere of influence. Thats what I am doing and it is working. Here in Portland we are in the midst of creating a “Portland Plan”, with City government staff in the lead and lots of public involvement through surveys, neighborhood meetings, outreach to community groups and so on. In our state, once adopted this plan will have legal standing and implementing methods like capital budgets, zoning, and other policies must follow the plan, so it is our policy bible. As I look over the feedback from hundreds of people in our our community, it focuses on everyday practical concerns like improving education, creating more jobs and a stronger economy, restoring the health of watersheds and ecosystems, providing alternatives to cars and supporting local food and gardens. Topics like ‘peak oil’ or ‘global warming’ barely show up in the comments. Local people involved in Transition have been valuable to the planning process by directing attention to bigger issues and trends. One role for Transition may be to inform and encourage public decision makers to supplement community wishes, which are here and now, with much longer-term vision. Steve: The write up on the SURE conference is very inspirational. I’ve also printed off a copy of The In-Time(s)to read later about intentional communities. Sweden are really getting their act together. Thinking of the original question of are cities “too big” for EDAPs. I think the answer lies not in the population of a town or city, but how disparate. Oxford is only a moderate sized city, but very disparate. Transition Oxford has fizzled out as far as I know (there was an autopsy on this site a while back), but there are some very successful suburb/village level initiatives such as Low Carbon Wolvercote and Low Carbon West Oxford. The number of suburban farmers markets is growing. I would argue that it is easiest to produce and EDAP for a cohesive(ish) community whatever it’s population rather than for a disparate one. The transition needs of wealthy Summertown in Oxford and comparatively impoverished Blackbird and Greater Leys suburbs are going to be very different. Thanks to Rob for his reply and to all the others who have contributed to this discussion. If you can only develop an EDAP when you already have significant community buy-in and support – and that means 10 to 50 % of the population have come across the ideas then what may be feasible in Totnes doesn’t seem to be practical in a place like Nottingham. Across our conurbation as a whole that would mean 60,000 to 300,000 people. It seems to us that would put writing an EDAP a long time in the future….by which time things would have moved on anyway. Another, and the far bigger and more important issue, is whether the return to effort ratio of writing an EDAP is the best use of the scarce time of the Transition Groups here – or whether involvement in other activities and strategic practical initiatives would yield a better return on time and resources committed. Rob’s description of an EDAP doesn’t really sound to us like a plan at all – or only vaguely. It is a backcasted vision where the different elements of transformation of a place are put together in the same document and knitted together, as he says, as a story, as a narrative. So its function is one of collective (re-)orientation to a post oil future. It is a meta-narrative or a grand narrative. differ very much from place to place. We have seen the Totnes Transition text and it seems to us that the Nottingham text would be unlikely to say anything much different. Sure there would be some Nottingham specific features, but most of the text would be a case for more community gardens, for more links with local farmers, for more community based ESCOs, for more cycle paths and public transport. of what we have already because we already do have community gardens, farmers markets, cycle paths, a tram system and energy projects. Sure we don’t have nearly enough. Sure it is not the basis of the mainstream Nottingham lifestyle which, like everywhere else, is mainly “shop till you drop” – but, on a tiny scale, in small embryo, most of the things one would want to see in a future vision – in an EDAP – are there already – it is just that one wants to magnify and knit them together hundred fold. working, step by step to make happen. transport and Pedals, the local cycle campaign and project which has been in existence influencing practical develoments for 30 years. All of these and other projects that have been in existence for years. They are doing absolutely sterling work and it would seem presumptive of us to project forward what they are doing. their work for the public, or like a conurbation wide “live local project”. There is a case for themed seasonal festivals which have been successful. Compared to these very practical initiatives the research and writing of an EDAP doesn’t seem to offer much of a return on effort. We can think of other things which would be more useful – for example writing or producing a “tool kit” and laying on help and advice for groups who are setting up the different kind of projects on the what might describe as a “typical a la carte Transition menu” – ie community garden, community energy project, farmers market in their neighbourhood etc. to people who already have? Finally, what conclusion do we come from? Well, if we need 60,000 to 300,000 people involved in some way before we write a Nottingham EDAP it isn’t going to happen any time soon. Also if, as it seems to us is the case, that working towards it is not the best use of our time and resources but other things would be – then is it any longer really part of our core model? I think we have to acknowledge that it isn’t. So do we have to revise the basic idea of transition for cities – where most people live after all – and accept that “letting things go as they will” may mean letting them evolve outside of the model altogether…. future as the mass of the population understand it may, or may not, prove true. At the moment the dynamic of the energy system is in the background. High energy prices are part of what makes it difficult for people and companies to service their debts. Sure. We have seen how that leads to crashes. privileged way of ordering events and their explanation is likely to get lost behind the sound and fury of government cuts and collapsing banks. Interesting discussion. Some people from London Transition Towns met to discuss EDAPs. The majority were sceptical whether individual Transition Towns could or even should try to produce EDAPs at this point. It would require an enormous amount of time & energy. Much better for each Transition Town to produce a single side of A4 each year with a list of limited achievable goals for that year – this could be a good publicity document too. A single, professionally worked up EDAP document for the UK as a whole would be useful, which could use the ‘Ecological Footprint’ scientific methodology as its framework. It would provide a basis for discussion of different strategies, something like ‘Zero Carbon Britain 2030’, but covering all the resilience issues and not just energy.